Hampton Art OVER THE RAINBOW Mama Elephant Clear Stamp and Die Set SC0784 at Simon Says STAMP! SC0784 This item is on reserve until If you would like to reserve this item now, you may purchase it now with the rest of your order. We will hold your order now and ship your entire order as soon as this item is back into stock. If you would like your order to ship now, please place this item on a separate order. Success, Hampton Art OVER THE RAINBOW Mama Elephant Clear Stamp and Die Set SC0784 has been shared! Includes 8 stamps and 4 dies. Castle is approx. 1.5 x 1.25 inches. Hampton Art, founded in 1980 in picturesque Long Island, NY, has been inspiring stampers, crafters and papercraft enthusiasts for over 20 years. One of the earliest art stamp companies, Hampton has transformed over the years to become a complete provider of creative products such as stamps, inks, papers, kids crafts, stationery, scrapbooking supplies, and card making accessories for crafters of every age and skill level. 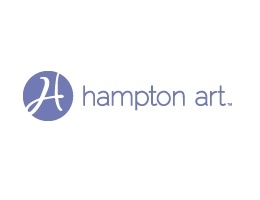 Hampton Art was founded on 5 principles of creativity, quality, integrity, fun, and a passion for excellence. Hampton Art firmly believes in an environment that encourages fun, enjoys and shares a great sense of humor. Their most important goal is to make products that inspire everyone we touch to create and smile every day!